Since a couple of days ago my volume icon has disappeared from Wingpanel. I know this issue has surfaced before, but the go-to solution (install indicator-sound) is of no use (indicator-sound correctly installed). As an addition, this issue is not user-related, since it affects me even if I log into a guest session. Any help to troubleshoot this? Update Dec.10: Just to let you know that the issue is still there. Despite Ravan's workarounds, the solution appears to work intermittently, meaning that every other reboot or so the volume icon doesn't show up. 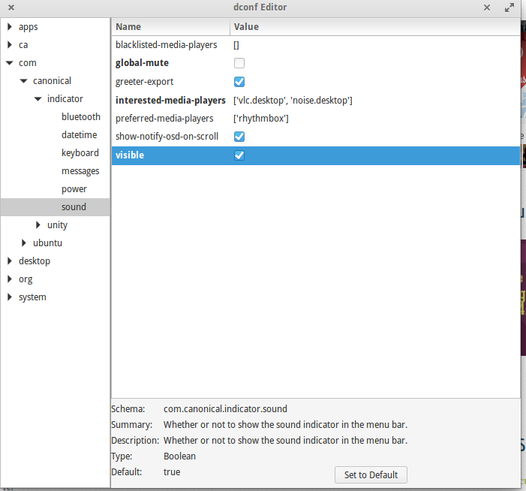 It's worth noticing that the service is active, though, because I can modify the volume via keyboard shortcuts. My feeling is that there's something wrong in Wingpanel and the way indicators are displayed or not. Not the answer you're looking for? Browse other questions tagged wingpanel indicator-sound or ask your own question.